What do you do when Hemingway needs help? Call another editor! Do you know the proverb, ‘two heads are better than one’? In addition to applying to life, you should also be aware it governs editing apps. Even good ones, like the Hemingway editor. It makes part of your editing work almost mindless. Instead of having to read and think, you can just concentrate on eliminating the colours. If you’re tired and worn out, you may not be able to edit, but you can certainly spend 15 minutes on the Hemingway app. The colours are pretty! Playing — and I use that verb deliberately — with the Hemingway app is good fun. It’s almost like a computer game: your objective is to eliminate the colours. Do that, and you’ve won. It tells you the grade level your writing has achieved. (Just look in the top right-hand corner, underneath the write/edit button. You’ll see the word “readability” and, underneath that a grade level.) As you may know, most nonfiction writing should aim at a grade level of 7 to 10. This is not because your readers are either stupid or uneducated, but because reading is a voluntary act and if you make it too difficult people won’t want to do it. But there’s also a problem with the Hemingway app, and it’s a big one. It treats all “long” sentences in exactly the same way. It highlights them in yellow or red giving you the clear impression that in the parallel universe of good writing, all sentences must be short and sharp. I’ve worked with writers who have steadfastly worked to remove all colour from the Hemingway app. Here’s what happens: their writing starts to sound choppy and staccato. In fact, there’s something almost obnoxious about text that’s filled only with short sentences. It feels uncomfortable to the human ear — and this is important because most of us read everything aloud, even if we do so sub-vocally. So here’s how I deal with this challenge. Instead of starting with the Hemingway app, I initially run my text through another readability statistics calculator (also available at no cost). Neither as pretty nor is fun as the Hemingway app, it provides one supremely useful metric: the average number of words per sentence. If you use it for no other reason, you should use it for this. How to use it: enter your text into the empty box on the home page, then click the “process text” button. The next page will give you a list of metrics. Direct your attention to the “average number of words per sentence” measure, near the top. I typically work towards the goal of having an average sentence length of 14 to 18 words. For comparison, the average sentence length for Harry Potter author JK Rowling is only 12 words. And many manuscript preparation resources suggest scientific researchers shorten their sentences to 20 words. Each of these presents a perfectly reasonable one-word sentence. Scatter them throughout your text and you’ll do an excellent job of improving your readability. At the end of the page with all the metrics, it helpfully lists the longest sentences from your text. No colours, but if your sentence-length average is too high, you’ll know which sentences to make shorter. In addition to the Flesch Kincaid grade level (which I think is what the Hemingway App gives you), it also gives you the score from four other indices: Gunning Fog, Coleman Liao, Automated Readability, and SMOG. Sometimes, seeing the range of scores — and they will all be different — can give you a clearer idea of the direction your writing is going in. For example, if I had one score that was a grade 10, but all the others were grade 9 or lower, I’d be happy. But if I had one score that was grade 9 and all the other were grade 10 or higher, I’d be concerned. Yes, it’s more work to run your text through two apps rather than just one. But it’s not hard work. And if you want to improve your writing, being a diligent self-editor is the best way to accomplish it. 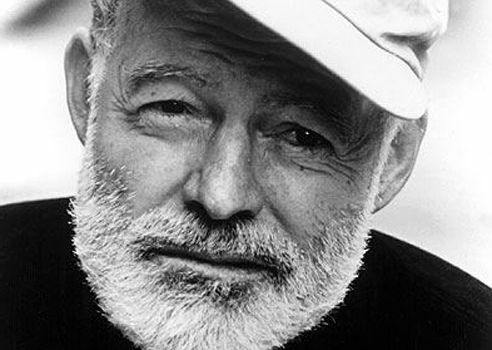 Do you use the Hemingway App? What do you think about it? We can all learn from each other so, please, share your thoughts with my readers and me in the “comments” section below. Anyone who comments on today’s post (or any others) by June 30/16 will be put in a draw for a copy of Still Writing: The Perils and Pleasures of a Creative Life, by Dani Shapiro. Please, scroll down to the comments, directly underneath the “related posts” links, below. Note that you don’t have to join the commenting software to post. See here to learn how to post as a guest.